College life could be really troublesome and full of struggles. And the students need to always stay on their toes in order to maintain and achieve good grades. However, the most effective hack to manage your college life without too many difficulties is to make a study schedule and stick to it regardless of the circumstances. At times it could get really annoying and you might lose all the motivation and will to follow your study schedule for the day but trust me, in the end, the extra invested energy and motivation would be really worth it. You will be able to see the effects of religiously following the study schedule in your grades and academic achievements. Why is it difficult to get your daily study timetable for your school or college? Regardless of the great effects and results, planning a schedule and sticking to it is one of the hardest things to do on the face of the earth. You are probably going through the very same struggle and that is the core reason of you to get this far to the article, right? How to Make Daily Study Timetable and Stick to it? Well, following are some useful tips to plan a study schedule and also manage to stick to it. First and foremost, write down all the subjects and courses that you have to study. Whether it is an easy course or a difficult one, write it all down on a piece of paper. After that, rate the difficulty of each course according to your understanding and caliber. This list will help you to allow the right amount of attention to each of the courses without over or under doing it. 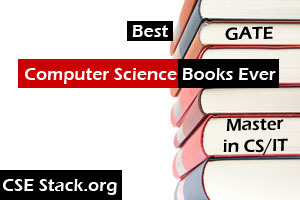 If you are computer science students, here is a list of computer science topics you should prepare. The right time to study differs from person to person. Some people are more productive early morning while some find it easier to study late at night. First, identify the right time for you and then make the schedule according to that specific part of the day – it could be some hours every day at that specific time. Otherwise, you can also set different parts of the day throughout the week to avoid a boring stagnant pattern. Now divide the courses according to their difficulty level. The hardest course could also be daily for 20-25 minutes reading or review or it could be 4-5 times a week depending on the number of total courses and the total hours that you have kept for a single day. However, make sure that you keep different courses every day to avoid getting bored with the constant similar pattern. Versatile patterns during studies are always effective in terms of maintaining your focus. The study schedule is made now and next thing that you need to do is to stick to it properly. It would be definitely hard but the key to being successful in that matter is the right amount of motivation and encouragement. Following are some of the tips to stick to your study schedule successfully. First and foremost thing to do is sit and study. For that, you will need a proper space to study which is according to your comfort zone and perfectly cozy for a serious study session having defined study room or space increases motivation to study and the students look forward to studying and be in their favorite spot. Before starting to study, prepare your study corner and make it comfortable and cozy just appropriate for your taste. Putting away all the distractions is very important to maintain your focus and momentum during the study. How to avoid distractions to study? Distractions include your Smartphone, iPads or tablets or any electronic device which is not contributing to your study process at the moment. Keep it away from your study corner. Regardless of the space being completely free of distractions, you can feel the urge to procrastinate. It is okay and absolutely normal to feel that way. However, whenever you feel that way, push yourself against it and try to complete the tasks for the day. How to keep yourself motivated to study? Think of the greater and brighter things at the end of the tunnel. Think of the improvement in grades which you so desperately need to increase your GPA or marks and make yourself and your parents proud. This is your last phase. If you perform well in the exam, everything is good. Emma Norman has shared detail about exam preparation strategy. Go through it. Planning and sticking to daily study timetable and scheduling it could be hard. But, following the above-mentioned tips and tricks could really take you somewhere and you can manage to follow your study schedule religiously. Michell Starc Working as a senior writer at 7 Dollar Essay Writing Services and motivational blogger, speaker for students, Michell also writes to spread positivity and motivate students towards doing better in their studies and improve their grades as well as careers in the longer run.